An essential aspect of maintenance of any swimming pool, Mr. Sticky’s swimming pool repair products are specifically made for direct underwater use. The underwater adhesive and sealant swimming pool products from Mr. Sticky’s Premium Adhesives are more effective than typical adhesives such as PVC cements, tpical epoxies, or underwater silicones. Designed for long-lasting underwater repair, these sealants are suitable for all climatic conditions across the globe and can be used very effectively in spas, swimming pools, and fountains. You get the freedom of doing a vertical as well as horizontal repair due to its non-drip formulation. The best part is that you can carry on with the use or renovation of your swimming pool during curing. This, enables you to use it for liner repair, tile or grout replacement, fiberglass crack or joint repair, gunite, skimmer and equipment repairs both in and around your swimming pool. At Mr. Sticky’s Premium Adhesives, you get the a renowned underwater glue that is ideal for the highest number of successful pool repairs. The glue will remain bonded even with parts which exhibit bending, expansion, vibration, shrinkage, shock, and fatigue. Whether the repair materials are wet, dry or even submerged, Mr. Sticky’s Underwater Glue is a time tested, easy to use adhesive which has satisfied millions of customers. 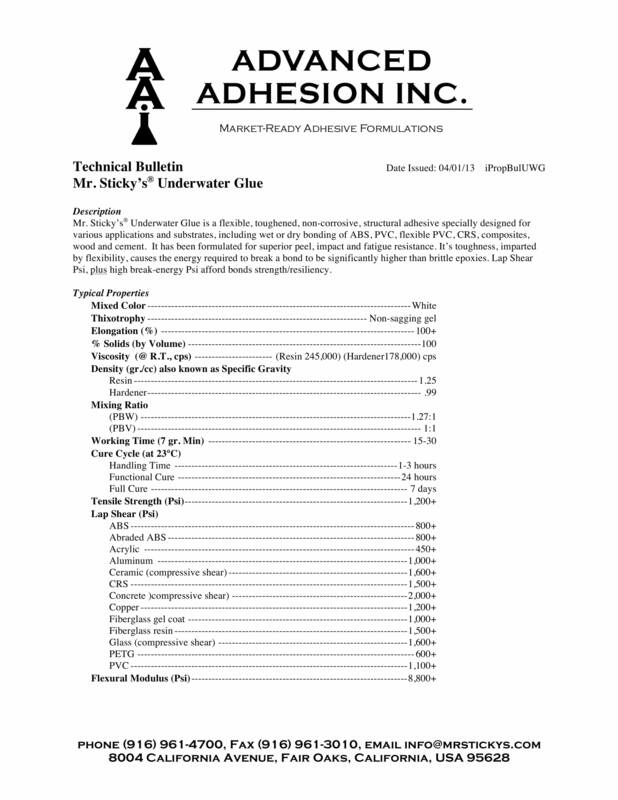 Mr. Sticky’s Underwater Glue is manufactured under ISO-grade standards in the USA so that performance is consistently the highest quality available in the world. Note: If Mr. Sticky’s Underwater Glue works Underwater, it will work almost anywhere! Persons who use this product underwater also find it extremenly useful for many kinds of residential, commercial or military repairs!